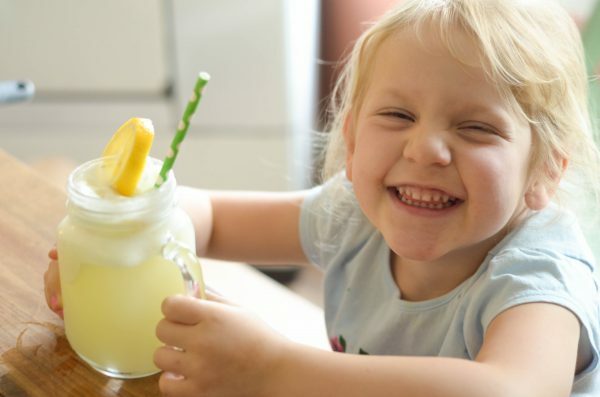 Get ready for spring and summer with this tasty Lemonade Punch. 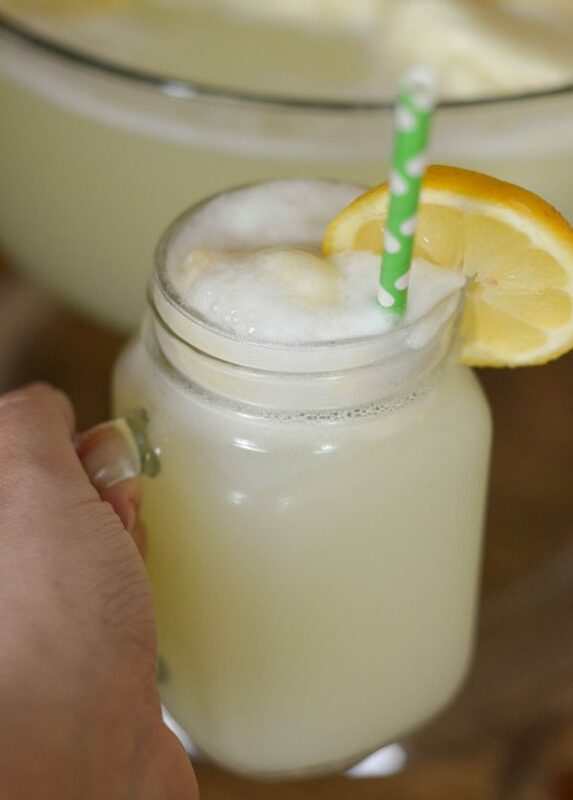 Now, I kind of feel like I cheated on my Rainbow Sherbet Punch, but goodness this Lemonade Punch is delicious and perfect for the spring and summer. It’s a beautiful citrus explosion! 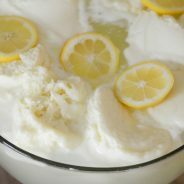 I decided this year I am going to try out different versions of our go-to Rainbow Sherbet Punch, first on my list was Lemonade Punch. 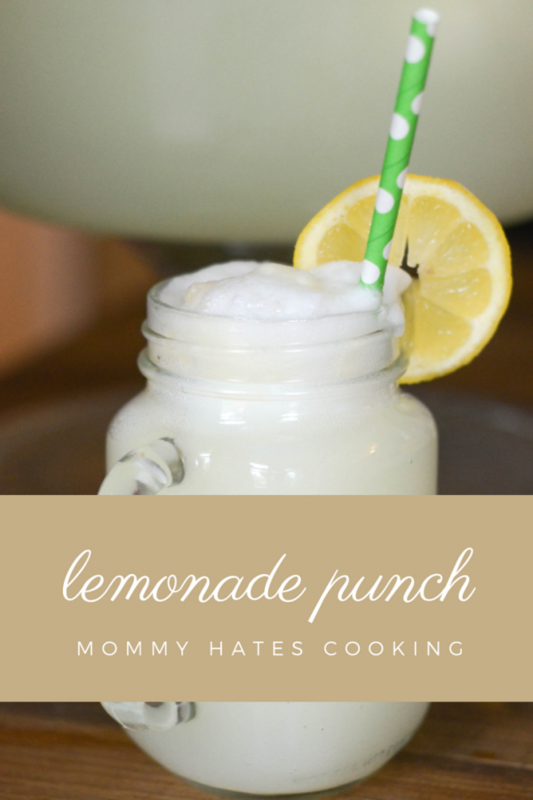 How do you make Lemonade Punch? 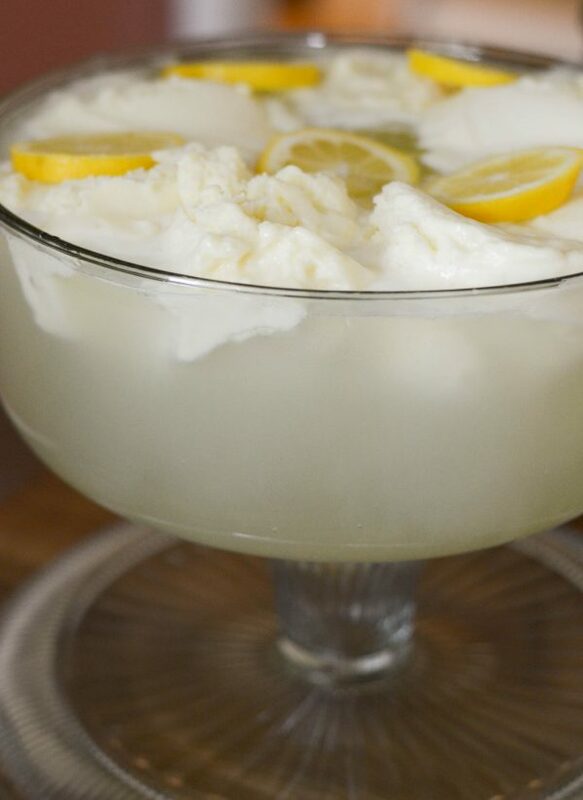 This Lemonade Punch is a combination of lemon-lime soda, lemonade, and pineapple sherbet. 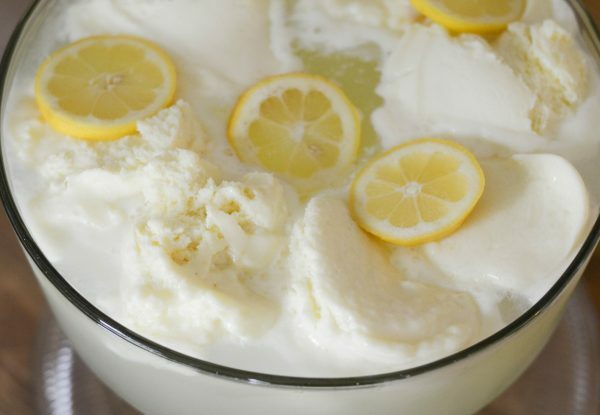 It’s so delicious and perfect for a warm summer day! I decided to top the punch bowl with slices of fresh lemon, but the real treat was that pineapple sherbet. It’s important to be sure to use sherbet. 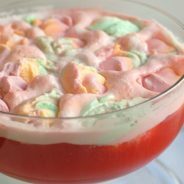 I’m not sure what it is about sherbet but it really last in a punch recipe when some ice cream tends to melt away. This sherbet though stays nice and cold and perfect in the punch much longer. My daughter helped me make this and then we both decided to rest and enjoy a glass. We had a busy morning and it was nice to just sit down and enjoy this drink. 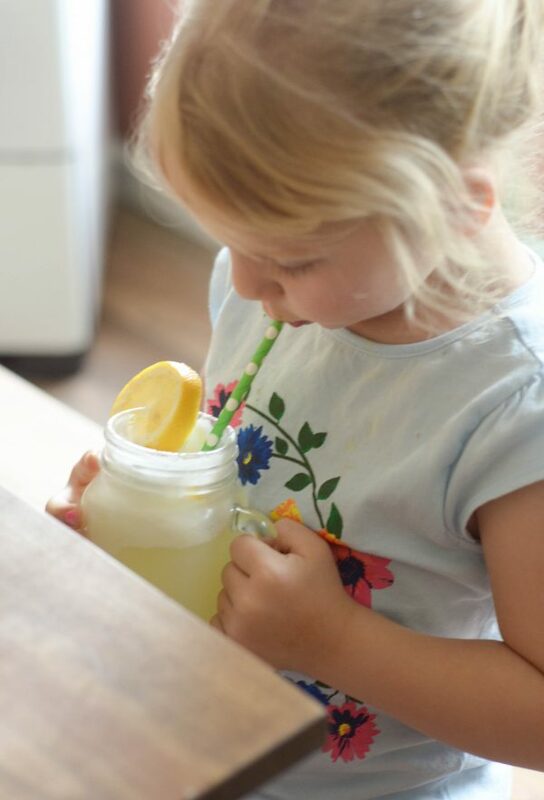 It was so refreshing, plus you could easily add some sliced pineapple along with lemons to your glass to make it a fun and festive drink that is also kid-friendly. This one would be great for tropical themed parties this summer. I’m already wishing that I would have made this several years ago at my son’s tropical party. We may have to use it this year for a backyard BBQ too. What parties do you have planned this upcoming season? I won’t lie, we already have a list! 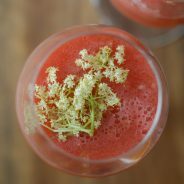 Do you have a go-to punch recipe? I’d love to hear yours, in the meantime though be sure to add this one to your list to try. 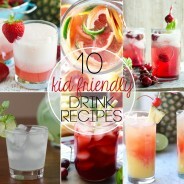 Combine equal parts soda and lemonade, top with the sherbet and lemon slices. Wow, that a creative idea! I love how it turned out.